24 September 2018 I6: From dust to planets, Interface Project, Spotlight! There is one big difference though: while on Earth such rivers, lakes and seas are filled with water, on Titan it is primarily methane that flows through these liquid reservoirs. In this unique methane cycle, the hydrocarbon molecules evaporate, condense into clouds and rain back onto the ground. When Sebastien and his team first spotted three unusual equatorial brightenings in infrared images taken by Cassini around the moon’s 2009 northern equinox, they thought these might be exactly such methane clouds. A thorough investigation revealed they were something completely different, however. 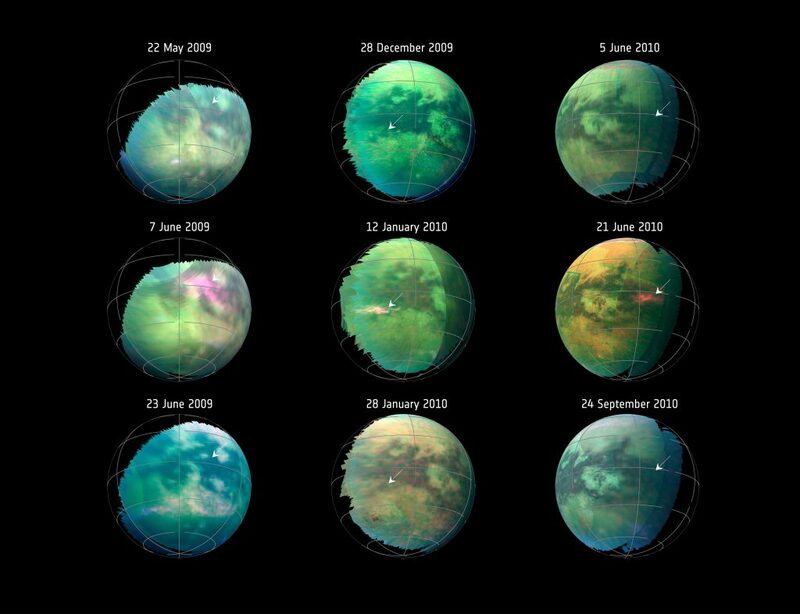 This compilation of images from nine Cassini flybys of Titan in 2009 and 2010 captures three instances when clear bright spots suddenly appeared in images taken by the spacecraft’s Visual and Infrared Mapping Spectrometer. The brightenings were only visible for a short period of time – between 11 hours to five Earth weeks – and cannot be seen in previous or subsequent images. 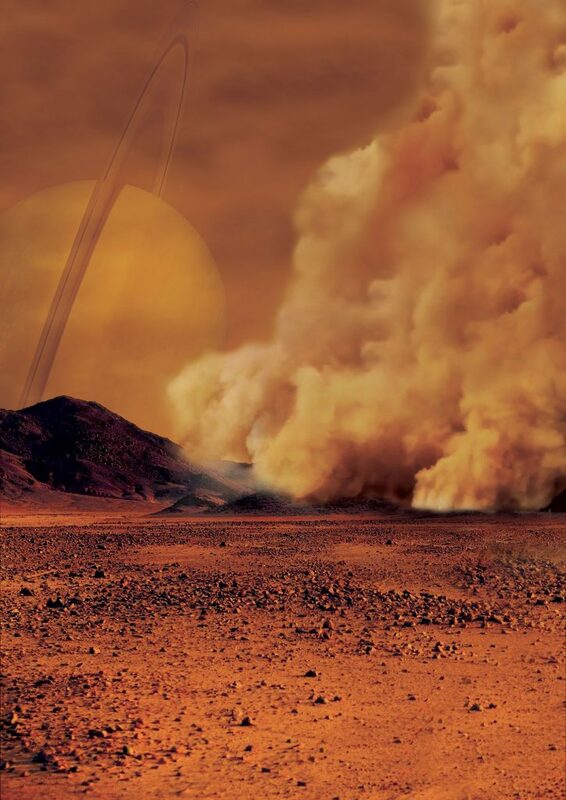 Sebastien says that while this is the first ever observation of a dust storm on Titan, the finding is not surprising.